When it comes to driving in winter conditions, oddly enough, the first thing to ask ourselves is, “Do I really need to drive?” As snow falls across the province and our roads are covered in ice, here are important things for all of us to keep in mind to stay safe. 1. Know when not to drive. Understand your winter driving skills and comfort level. Make arrangements for other transportation such as transit, professional drivers like taxis or ride with a more experienced driver that you know. When conditions get bad, consider staying indoors. 2. Adjust your driving to match the conditions. Slow down, leave more room between you and other cars and avoid problem areas such as snowy or icy hills and narrow un-plowed streets. 3. Take precautions before you drive: Clear snow and ice from the roof of your car, windows and lights. Defog all windows before you head out.4Carry winter driving emergency items in your car. Cpl. Sturko demonstrating the importance of sweeping before you go! It’s not fun being behind a car with a blizzard coming off the roof! Remaining safe is a joint responsibility. When you see a snow plow on the road, proceed with caution and follow these tips. As soon as you get a chance, take your car to an automotive professional for a winter check-up and have proper winter tires installed. 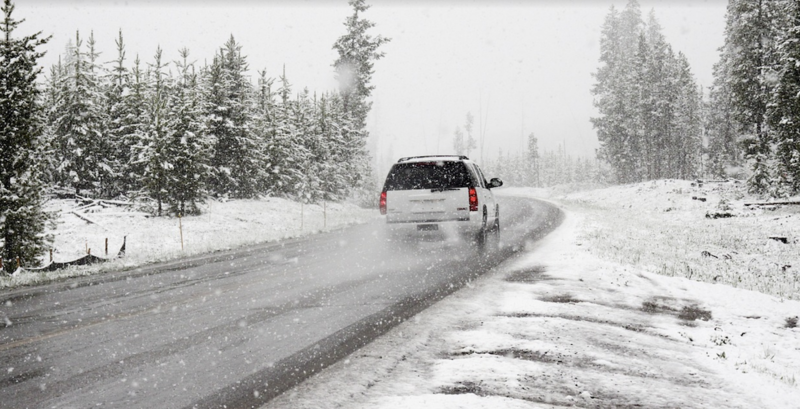 Get more tips to avoid common driving problems we see each winter. Not a BCAA Member? Join today and get the Best Roadside Assistance and save at more than 100,000 partner locations worldwide! 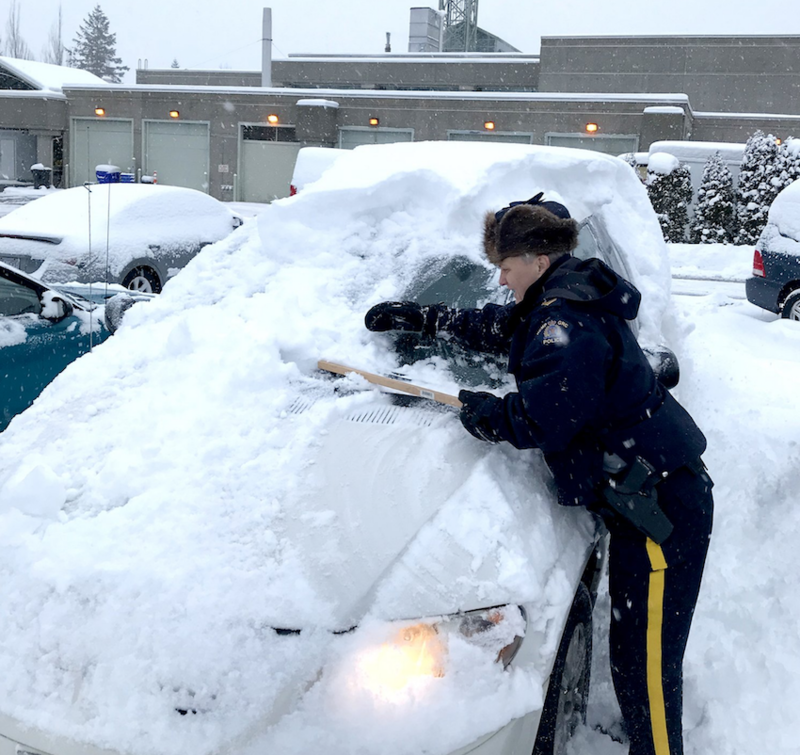 Check @DriveBC | www.drivebc.ca for current conditions before heading out!